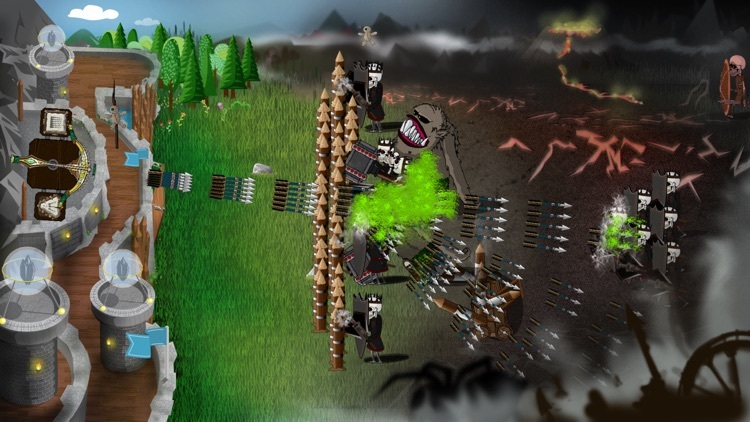 Grim Defender is a fast paced castle defense / tower defense (td) game that requires strategy and skill. You defend against waves of attacking monsters, upgrade your defense and grow stronger and stronger. 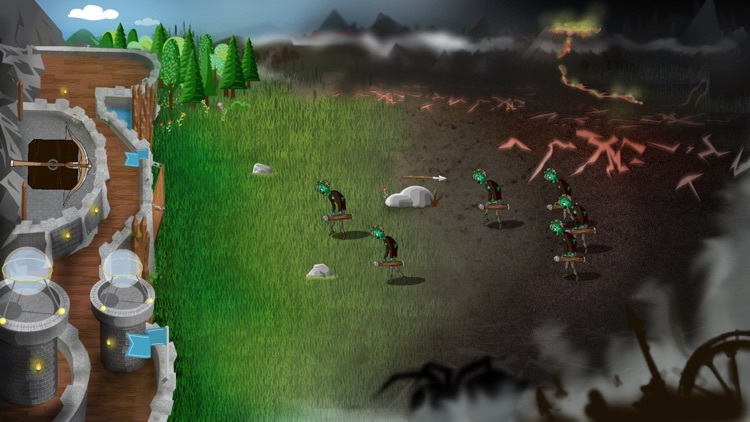 The dark army is preparing an attack - fight back with powerful crossbows, magic spells, traps, legendaries and modules - send the monsters back to the dungeon where they came from! 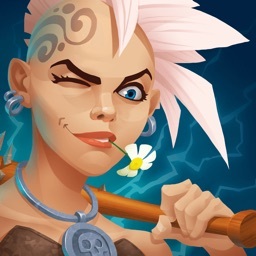 Tap the screen to shoot monsters, drag and drop spells on monsters or position powerful traps. 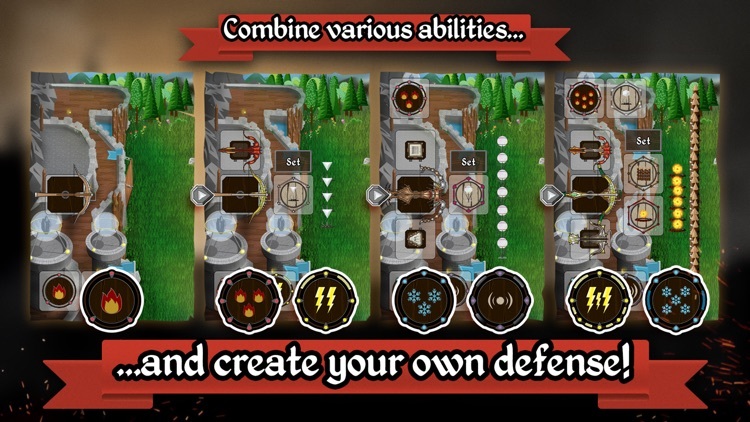 Use gold, rubies and darkgold that you collect from monsters to upgrade your defense and weapons! 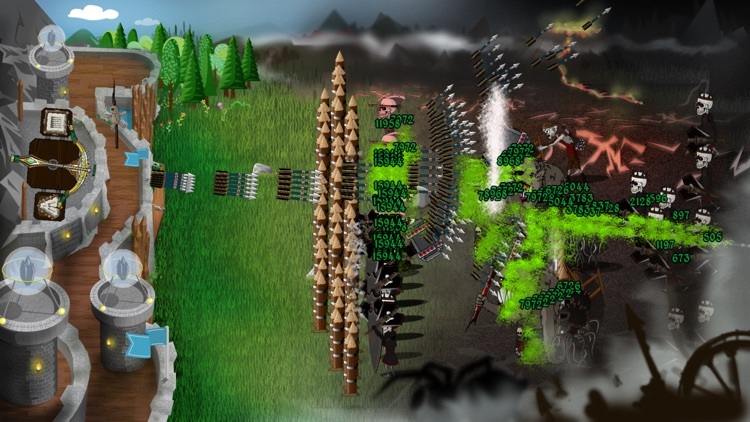 This addicting defense game is praised for its diversity, depth and fun gameplay - enjoy large action loaded battles with hundreds of enemies on the battlefield. 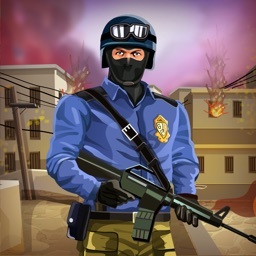 Challenging gameplay through never ending levels and different game modes. Craft and customize your defense as you like. Non-linear defense and upgrade setup, hundreds of viable builds. 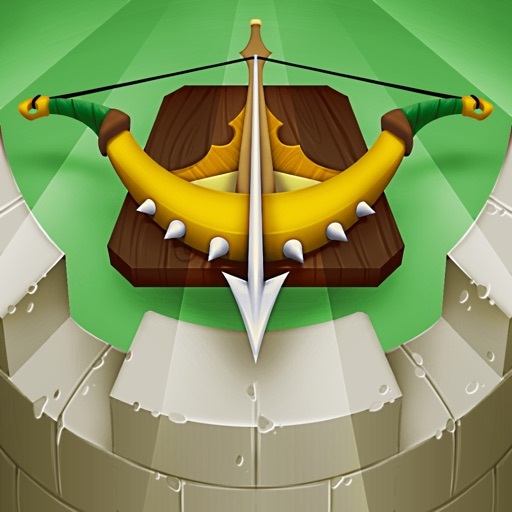 Freely combine items to build the strongest defense, place explosives, lightning or stasis traps to destroy your enemies or maze up using palisades. 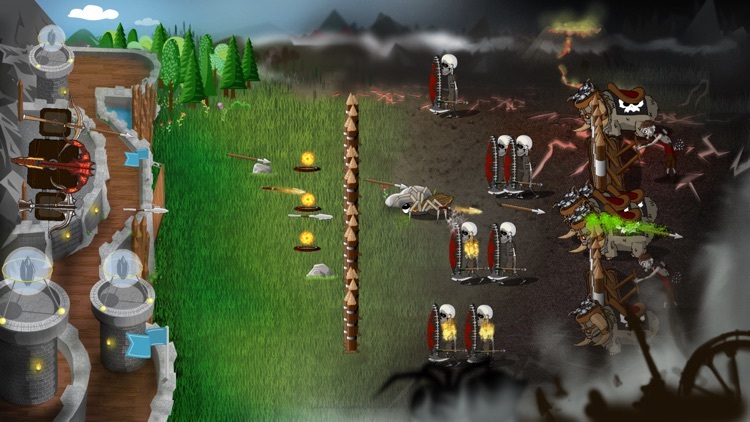 Use fire, ice, lightning or pushback spells as well as powerful crossbows combined with modules to stop the dark monsters. 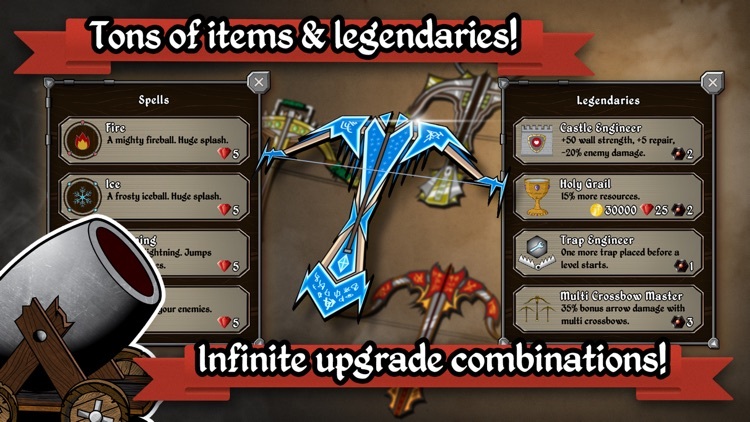 Upgrade your bow to shoot stronger arrows, improve your modules to deal more damage, use multishot or have splintershot. Upgrade your castle wall, buy more defense turrets and magic towers or even add an automatic turret to your castle! Lots of unique enemies, crazy monsters and bosses! Fight your way from easy zombies and skeletons to cannons, palisades and powerful epic boss monsters - can you defeat the ultimate dragon? 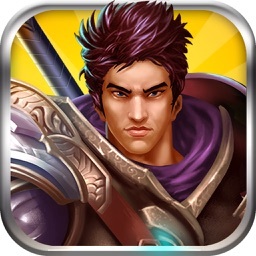 Kill all monsters and become the greatest warrior in this crazy game! Dailies, quests and global competitions with other players! 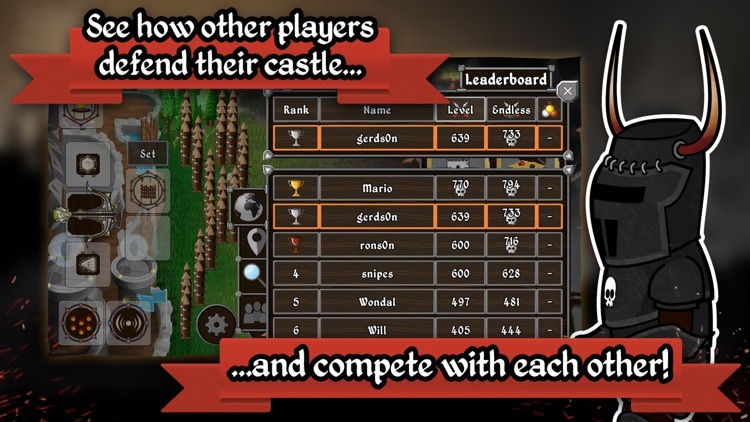 See how other players defend their castle and compete in the global leaderboard! Play dailies and quests or compete in the ultimate versus mode battle against other players (player versus player (pvp) - coming soon). Reach the highest rank in the online competitive leaderboard - have the highest level of all players or become a vs mode machine with the best defender strategy! Grim Defender does not require an internet connection to be played - play offline from anywhere and whenever you want. 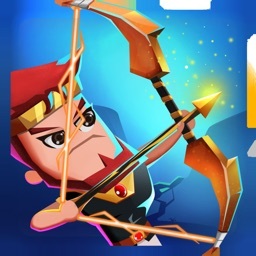 Download now for free (free to play) and become the greatest monster defender in the best action packed wave based castle defense / tower defense game that you have ever played! 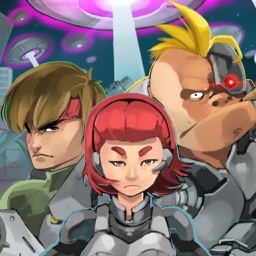 We love defense games and made this game with a lot of passion and focus on details! We really hope that you enjoy our work!